A Newthorpe woman in remission from cancer was the toast of Eastwood’s Slimming World after winning one of its top awards. More than 50 members attending sessions run by Consultant Amelia Christian cheered loud when it was announced that Helen Godden was the winner for shedding three stone. Helen, a mum of three, who lives in Dickens Court, was diagnosed with cervical cancer in 2014 and is fully aware that her condition has a 45 per cent chance of returning. 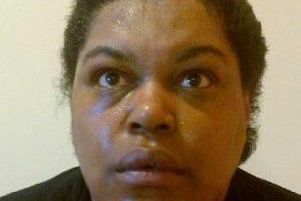 The 37-year-old Helen s a full-time carer for her mother who has an aggressive form of cancer and mental health issues. But despite her troubles Helen remains positive and friends at Slimming World look at her as their role model. “She is a wonderful woman who despite her own personal issues always leads by example”, said Amelia Christian. “Helen has lost more than three stone in weight since first joining Slimming World in 2013. She was forced to leave the group because of her serious illness and it is great to see her return to the fold. New members are invited to join Eastwood’s Slimming World classes which take place in the Dora Phillips Hall in Wood Street on Wednesdays at 9am. and at 11a.m. For further details contact Amelia on 07920202956.